Let Us Fight For Your Rights! CALL NOW For A Free Consultation! If you have been mistreated by your employer, you need an experienced San Francisco employment lawyer to protect your rights and to help you get the maximum compensation that you rightfully deserve. A properly-drafted contract is always your best legal defense against lawsuits and other business disputes. 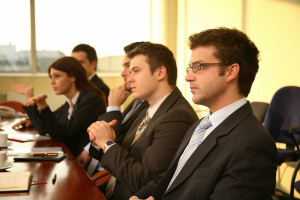 Nevertheless, when you are involved in a business dispute, contact an experienced business attorney. 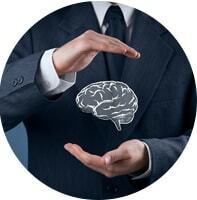 Your intellectual property may be the most valuable asset your business owns. You need a good intellectual property lawyer who understands intellectual law and has protected others in similar circumstances. With fifty years of combined legal experience, the San Francisco personal injury lawyers at the law firm of Geonetta & Frucht are more than ever determined to achieve the best possible result for every client. With more than 50 years of combined experience, the award-winning attorneys of Geonetta & Frucht, LLP are some of the top lawyers in the Bay Area. With honest and aggressive representation, a lawyer from our law firm will fight to get the best possible outcome for your case. Frequently praised in clients reviews and from our legal peers, we are one of the most respected law firms in San Francisco County. If your legal rights have been violated by your employer, you need an experienced San Francisco employment lawyer to fight for justice on your behalf and possibly even to help you obtain financial compensation. The experienced employment attorneys at Geonetta & Frucht deal with a wide range of workplace issues including gender discrimination, age discrimination, national origin discrimination, sexual orientation discrimination, disability discrimination, race discrimination, pregnancy discrimination, harassment and wrongful termination. Our employment lawyers also provide whistleblower protection and represent employees who have been the victims of employer retaliation and workplace sexual harassment. We also defend workers who are disputing with their employers about unfair wages or unpaid overtime. Don’t let employers intimidate you when they break the law and violate your rights. Instead, call Geonetta & Frucht and get the legal help you need. If a business agreement or deal turns into a business dispute, an experienced business attorney can protect your interests. 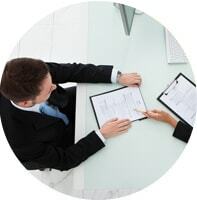 Mergers and acquisitions, breaches of contract, corporate disputes, and bad business transactions will all require you to seek legal help from a thoroughly experienced business attorney. A properly-drafted contract is always your best legal defense against lawsuits and other business disputes. Nevertheless, when you are involved in any business dispute, you must work with an experienced business attorney. Even a small misunderstanding of the terms of a business agreement could open the doors to expensive litigation. We represent businesses in legal disputes, but we also work with and advise business owners regarding the policies and practices that can help them avoid legal trouble before it starts. Intellectual property laws are in place to protect inventors, companies, and their rights to their own inventions, trade secrets, designs, written materials, and artistic works. Your intellectual property may be the most valuable asset your business owns. When someone violates your intellectual property rights, you may be able to recover full and fair damages for losses and other injuries you’ve suffered. A good intellectual property attorney can help you understand intellectual property law and can help you acquire full legal protection for your intellectual property assets. Without that protection, your competitors and others could steal your intellectual property or otherwise take unfair advantage. We can help you with patent and trademark registrations, copyright protection, and more. With fifty years of combined legal experience, the San Francisco personal injury lawyers at the law firm of Geonetta & Frucht remain steadfast in their determination to achieve the best possible result for every client. We deal with personal injuries that happen both in and outside of the workplace. We also represent families who have been victimized by the wrongful death of a loved one. If you’ve been injured by another person’s negligence in California, compensation is your right under the law. Contact an experienced San Francisco personal injury attorney at Geonetta & Frucht if you’ve been injured and another person was responsible for your injury. We also protect those who have suffered an injury or a loss through the wrongful acts of a governmental body, agency, or government employee. For decades, we have successfully handled claims involving police misconduct and brutality, discrimination, the violation of constitutional rights, and related civil rights matters. At Geonetta & Frucht, LLP, our attorneys possess more than fifty years of combined legal experience focused predominantly on employment law. We provide comprehensive legal counsel throughout the San Francisco Bay Area, Oakland, Berkeley, and across northern California. If you are a victim of hiring or employment discrimination, sexual harassment, wage and hour violations, civil rights violations, or wrongful termination, call Geonetta & Frucht at once. Collectively, during and prior to the formation of Geonetta & Frucht, LLP, our attorneys have obtained verdicts or settlements in excess of $45 million dollars for our clients. We focus on protecting individuals – and sometimes companies – that have been wronged by others. Our attorneys have extensive experience handling discrimination and civil rights claims on behalf of our clients. While our legal practice extends beyond California to include national and international work, we are able and proud to offer services to you in a small-firm environment where we can focus our complete attention on the details of your case. We take the time to know you and understand your legal circumstance so that we can develop a strategy to meet your particular legal needs. Our approach is uniquely different from many of the “large” law firms where cases brought by “average” individuals are often considered of less importance and are handed over to junior associates. At Geonetta & Frucht, we promise you that every case receives considerable personal attention from our finest attorneys until we bring that case to its best possible resolution. We value consistent, effective communication with our clients. Free Initial Consultations: Call us or complete the online contact form on this page to schedule a free, no-obligation consultation with an experienced San Francisco attorney. Five Decades of Combined Experience: The value of experience in any legal process cannot be overemphasized. When you work with Geonetta & Frucht, our team puts more than half-a-century of combined experience to work for you. We Provide Aggressive Advocacy: Put simply, we never back down from a fight. When you work with Geonetta & Frucht, you will have a tenacious and aggressive legal team working on your behalf. History of Client Recoveries: Our record speaks for us. Geonetta & Frucht has helped of clients win millions of dollars in compensation both in out-of-court settlements and in trial verdicts. A Primary Focus on Client Care: No client of Geonetta & Frucht is ever treated as just another case number. Our attorneys give personal attention to every case and client from the first contact until your legal matter is satisfactorily resolved. To discuss your case and concerns with an experienced San Francisco employment attorney, please contact our law office today by filling out the form on this site or calling us now in San Francisco at 415-433-4589. Our offices serve clients in the San Francisco Bay Area and throughout California. Our main office is located in the San Francisco Financial District near the San Francisco Museum of Modern Art and the Embarcadero Center, approximately 13 miles from the San Francisco International Airport (SFO). Head northwest on US-101 N from the San Francisco International Airport and take exit 430A toward downtown. Merge onto I-280 N and take exit 57 for Sixth Street. Pass the Wells Fargo Bank and turn right onto Brannan Street. In about 0.5 miles, make a left turn onto 3rd Street and continue onto Kearny Street. Turn right onto Bush Street and make an immediate right turn onto Montgomery Street to arrive at our office. Your first consultation to discuss your situation and ask questions about your case is free. Find out what to expect when working with us by reading some of the Google Plus reviews of Geonetta & Frucht, LLP.